Jason has performed all over the country with some of the best bands around. In the late 60s Jason started playing guitar on the beach's in Miami for tourists and at night playing all the folk clubs in Fort Lauderdale Fla. The streets of San Francisco, North Beach folk clubs, & Height Ash bury became his next home and gave him the rare honor of performing with and working for "The Momma's & the Poppa's", "Scarlet Lady", "Country Express", " Don Fisher & the Show men", Freeway Jam, RC Bannon, Talon, Scarlet Lady, Country Express and many more! 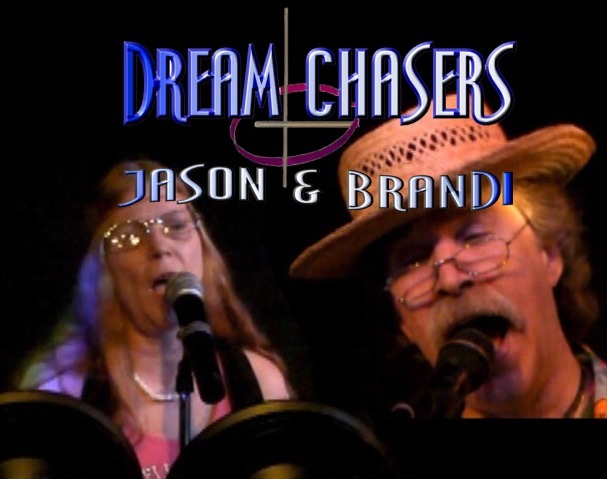 Brandi is on percussion and close harmony is her claim to fame, used to the max to back Jason up, Brandi has been performing with Jason for 15 years at almost every club you can name, all over the United States. Her quick wit and charm make her a rare entertainer.